The crackdown on offences relating to the plastic carrier bags has been enhanced. Every day, the daily newspapers are awash with reports on people taken to court and fined heavily for crimes related to the plastic carrier bag. 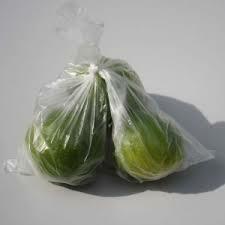 After 28th August, Kenyans who are still in love with the polythene bags have been doing their business hinding. I have visited several places and whenever I confront somebody selling their wares in plastic bags, the first response is that of flight. They seem ready to take off and run away if my engagement suggests enforcement action. This implies that Kenyans are aware of the plastic carrier bags ban, and breaking the law is rather deliberate. This justifies the need for enforcement action being undertaken by NEMA. When NEMA arrests a plastic carrier bags culprit, a case file is prepared and submitted to court. According to the Environmental Management and Coordination Act (EMCA) Cap 387, those found guilty of offences risk being fined between Kshs 2 million to 4 million or imprisonment of between 1 year to 4 years. These penalties are very high. There are very few Kenyans who can afford this minimum fine of Kshs 2 million. The courts initially took a very lenient route, but as days go by, the penalties have been increasing. Those arrested in earlier days benefitted from warnings from the courts. This has graduated into fines of Kshs. 5000. Others have had to part with heavy cash bonds ranging from Ksh 100,000 to Kshs 2 million. It is becoming a reality that soon, somebody will be fined the full amount prescribed in EMCA Cap 387. Imagine just possessing a few polythene bags making one to part with all this money. Funny thing, many Kenyans have ears but they don’t hear, they have eyes but do not see. Every day, we are witnessing new culprits being aligned in court. No government would wish to subject its citizens to any pain. The arrests of Kenyans and their prosecution in court is regrettable. But why do Kenyans want to continue with old habits even after they have been legislated against? Can the government close its eyes when Kenyans ignore a law meant to make the environment more pristine. Possibly not. Every day, the NEMA enforcers wish that all Kenyans would comply to the plastic bags ban and there would be no need to disturb people as they go ahead with their daily chores. But this has not happened, hence a few Kenyans have found themselves in court. Very regrettable indeed. The intention of the polythene bags ban was not to diminish Kenyans’ comfort with regard to packaging of their wares. To the contrary, the government wished Kenyans to make packaging more enjoyable, one that does not lead to a degraded environment. The use of the alternative bags was meant to be full of fun where one takes care of his or her packaging bag and reuses it over and over. This implies that there would be enhanced attachment to the alternative bag which becomes albeit like a souvenir. I take this opportunity to warn my friends to beware that enforcement of the ban on plastic carrier bags is on in full gear. The courts are already operating within the provisions of EMCA Cap 387. You can be fined Kshs 2 million, and this may make you to be a bother to your friends and relatives. If you are unable to pay the fine, your family and friends may miss you for a period of not less than one year. In either way, jail or fine, economic, social and opportunity costs losses will be enormous. Please keep off the plastic carrier bags.